Legs Get Led Astray caused such an intense reaction, I considered walking to the title address of one essay, Getting Comfortable with Being Uncomfortable (156 India Street), at well past two o’clock a.m. on an empty stomach and a bottle of wine. I finished the collection soon after, straight through. I recommend you sift through however many books necessary until you find the most relevant one and read it. I recommend you read a book straight through whenever possible. 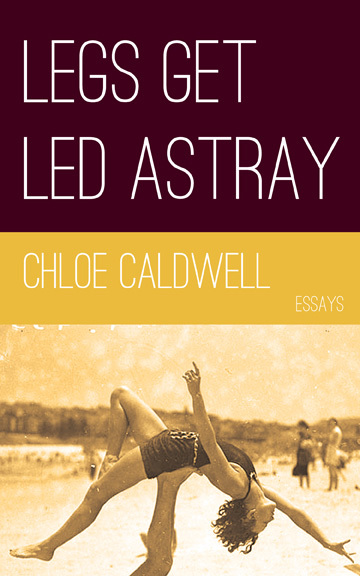 I recommend you read Legs Get Led Astray (when said seemingly appropriate time comes). As a line, every line was a hot iron and as a collection, the collection made me feel young and old and vulnerable (“Life felt gargantuan.”). These essays drove my desire to give myself wholly to myself. Like a hangnail that won’t be ripped off without some blood, Legs Get Led Astray prepares for just the right amount of regrowth. Hi there to all, because I am really eager of reading this webpage’s post to be updated on a regular basis. It includes pleasant information.